Stacey and Sarah, local Melbourne resin peeps from Flock Curiosity Assembly come together to teach you an array of beginner skills that will give you a taste of how to make your own unique resin jewellery. They will introduce basic techniques of pouring and mixing with colour pigments, finishing techniques as well attaching findings. Students will have the opportunity to go home with completed pieces of jewellery that are their own personal creations based on a wide variety of Flock’s unique supply of resin moulds. Kit for each student containing gloves, apron, dust mask, sandpaper, mixing cups, popsticks. You’ll also get notes to take home with all the information from the class! An open mind, a love of colour and a zest for creative funtimes! Both Stacey and Sarah have been making resin jewellery for the last six years in their homebased studios for their small business Flock Curiosity Assembly. Sarah has a background in Jewellery Design from her early university days that introduced her to resin as an alternative material for creating contemporary jewellery. Stacey has a background in photography and printmaking that developed her visual eye, giving her an introduction to unconventional perspectives of the everyday and ordinary. 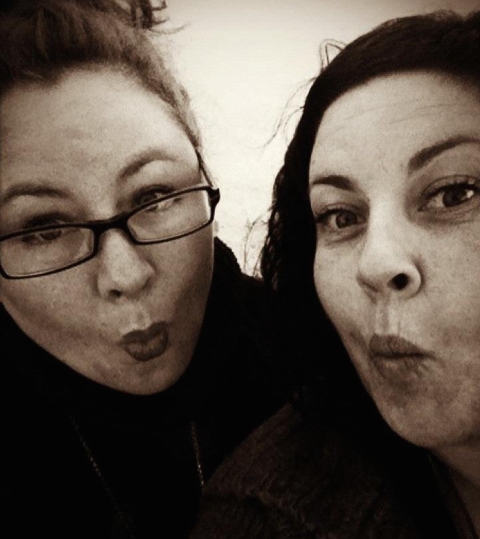 When they met in 2007, Sarah introduced Stacey to resin casting for a bit of creative fun after work, which slowly developed into a full time business that now attracts customers from around Australian and as far as Hong Kong, Japan, the UK and the USA. They currently partake in a number of high profile markets around Australia, have a successful Etsy store as well as collaborating with well known local labels Gorman, Obus and Fool Clothing. They are also sell at Rose Street Artist Markets in Fitzroy every Saturday.